1/8 oz tube -- Puralube Ophthalmic Ointment is an over the counter lubricant to prevent further irritation or to relieve dryness of the eye. Also excellent as a protectant during bathing or grooming and as a lubricant for procedures that require an anesthetic to be used. Contains white petrolatum and light mineral oil. 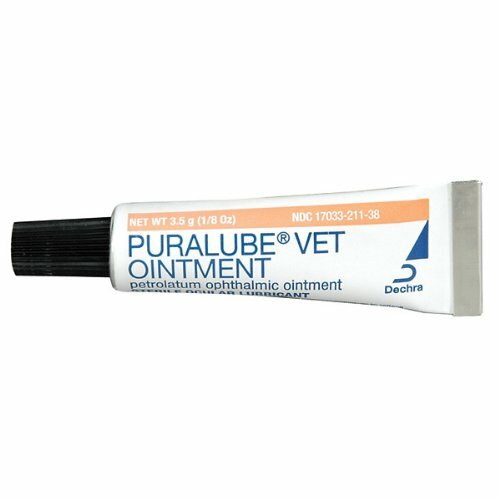 Puralube Vet Ointment, 1/8 oz.